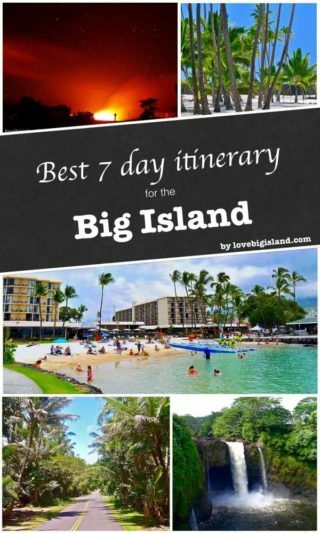 The Big Island is one of the most beautiful and diverse islands you will ever visit. It hosts 8 out of 13 of the world’s climate zones, stunning beaches, waterfalls and rainforests inhabited by species found nowhere else on the planet. It is also home to a series of majestic volcanoes that are constantly changing the island’s landscape. We recommend that you devote a few days of your itinerary to seeking out both the active and non-active volcanic sites which make the Big Island such a wonder of nature. This itinerary is meant primarily as a template. As tastes differ we encourage you to change it as much as you want to tailor your own perfect Hawaiian getaway. Drive into town and drop off your bags at your place of accommodation (if you have not yet booked, have a look here for accommodations in Kona). If arriving between December and April, sign up directly for a whale-watching cruise or if feel even more adventurous, we recommend to find out more about the Manta Ray night dive/snorkel. These tours are very popular and we recommend that you book at least 48 hours in advance. 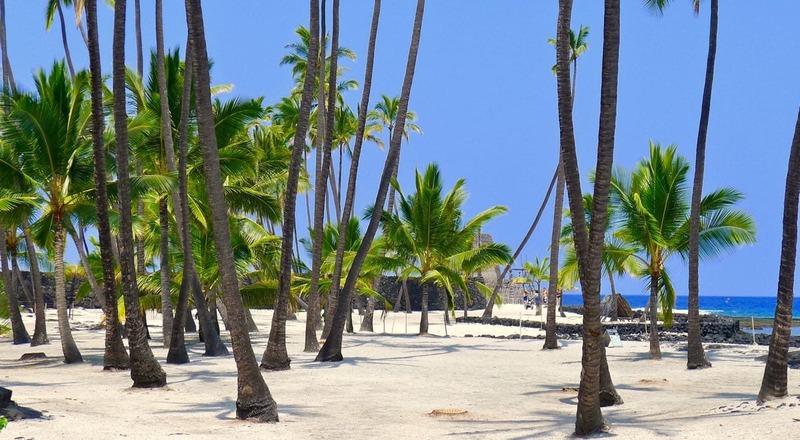 Afterward, drive north up Highway 11 to explore some of the beautiful west coast beaches such as Kua bay or Hapuna. Or if you are now short on time stop by the pier fronting the King Kamehameha Hotel in the center of Kona for a quick dip or a bit of snorkeling. Finish your day with watching the sunset and drinking a mai tai at the Kona Inn or any of the beachfront restaurants on Ali’i drive. Tomorrow will be a busy day, so don’t go to bed too late and be prepared for and early start. Get up early the following day. This should be easy since you still will be on mainland time. Have a relaxed breakfast in town with a view of the ocean or drive south toward Captain Cook and stop in at the Coffee Shack, a hot spot for locals and visitors alike. Don’t forget to order yourself some fresh Kona coffee. After breakfast continue south to the Pu’uhonua o Honaunau National Historical Park (also known as the city of refuge or Honaunau Bay) to learn about the ancient practices and rituals of the native Hawaiians and finish up with some snorkeling at one of the best snorkeling on the island, Two Step (at 300 ft. from the park entrance). This is a favorite snorkeling spot for many locals. This is a very culturally significant place for the Hawaiian people so remember to be respectful of both the animals and the surroundings. Make sure to combine your activities of the day with the tours you possibly booked. Or if you don’t feel like snorkeling, you can choose one of the many outdoor activities near Kona to spend this day. Day 3 is another early day so try packing your bags before you go out for breakfast so you can start your 2+ hour drive to Volcano Village directly after. Make sure to stop on the way to make the drive more enjoyable, for example at South Point (the most southern point of Hawai’i and the second-most southern point in the United States) or Punalu’u black sand beach, which is famous for its status as a turtle nesting area. Once you reach Volcano Village drop your bags in a cozy vacation rental close to the Hawaii Volcanoes National Park (we recommend Hawaiivolcanovacations.com, or have a look at the vacation rentals in Volcano Village), then head into the park for a few hours of hiking and sightseeing. Start your visit at the visitor center and plan your day in the park from there. Watch the 30-minute educational video in the auditorium and talk to the park rangers about the current situation in the park, ranger-led (free) hikes, and tailor-made advice. Also, ask the rangers about the current viewing conditions for the active lava flows that are entering the ocean. Some “must see stops” in the park are the Jaggar Museum, the Thurston Lava Tube and the Chain of Craters Road. If you feel up for it, we recommend you hike the Kilauea Iki trail, which descends from the beautiful Volcano rainforest into the caldera where you can see firsthand the effects of millions of years of volcanic activity. Afterward, head back to Volcano Village to have dinner in one of the local restaurants and then relax in front of the fireplace or in the hot-tub at your vacation rental of choice. End your first day by returning to the Jaggar Museum overlook after dark to see the incredible glow of the Kilauea Volcano under the stars. 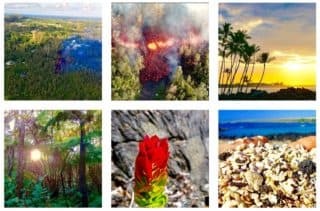 Today you can choose to either return to the Hawaii Volcanoes National park and get in a solid day of hiking on the 100+ miles of trails inside the park or try to find a viewing spot for the flowing lava (see day 3: talking to a ranger). Another option for today is to drive down to Kalapana, a serene and simply breathtaking spot that is home to what was one of the most beautiful beaches of the world before it was overtaken by lava in the 90s. Currently, a new black sand beach is forming close to the old beach, allowing a glance into the constant processes of creation and destruction which reign supreme on the island. If you choose to head to Kalapana, we recommend you make an entire day of it to enjoy the other gems the Puna District has to offer along the coast. From Kalapana, head back toward Kapoho, stopping for photo ops at MacKenzie State Park and Isaac Hale (Pohoiki to the locals). Afterward enjoy a well-deserved dinner in the quaint, colorful old town of Pahoa. We recommend the Mexican restaurant Luquins, which was a local landmark (Luquins burned down in 2017, and now has reopened as Luquins Mexican Food Truck on the same property). Try one of their margaritas “local style”, with lilikoi (passion fruit) juice and a li hing mui salt rim. Afterward, drive back up to Volcano Village to enjoy your last night in the peace and quiet of the rainforest. The following morning drive south one hour to the beautiful coastal town of Hilo and start your day with breakfast at Ken’s Pancake House, an old American-style diner complete with window booths and smiling local waitresses that respond best when being called “auntie” as per local customs of respect. Afterward, head downtown to take a stroll along the many shops, galleries and boutiques and/or visit the Tsunami Museum. If it’s market day (Wednesday or Saturday) stop at the Farmers Market to see how shopping is done local style. Pick up some souvenirs or some fresh fruit and bento’s for lunch later in the day. Got a sweet tooth? You can also head over to Two Ladies kitchen (274 Kilauea Ave) for some fresh mochi, a Japanese delicacy in the islands which will leave you craving more. After you’ve had your fill of exploring downtown, head out to eat the lunch you’ve picked up on Coconut Island or at one the beaches in the majestic Keaukaha area. We recommend four miles or Richardsons, both for the views of Hilo Bay and the great swimming (all beaches in Hilo). Now it is time to drive up Saddle Road to go stargazing at one of the best locations of the world: Mauna Kea. You can reach the visitor center where there are free stargazing programs offered just after sunset with any rental car but you’ll need a 4WD if you want to visit the summit. 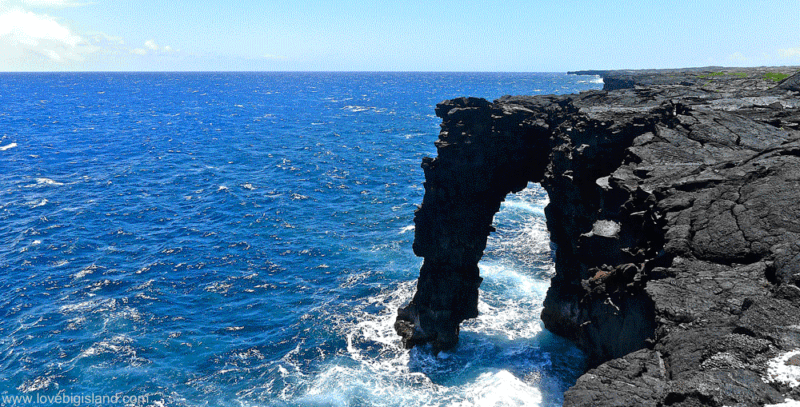 There are also professional tours organized from Hilo that will take you up the mountain. More information and safety tips on stargazing on Mauna Kea. Afterward head back to your accommodations in Hilo and get some much-needed rest. Start your day with packing your bags and then enjoying a lazy breakfast in downtown Hilo while watching the sun rise over the bay. Afterward, head out to Highway 19 onto the Hamakua Coast and get ready for some breathtaking scenery! 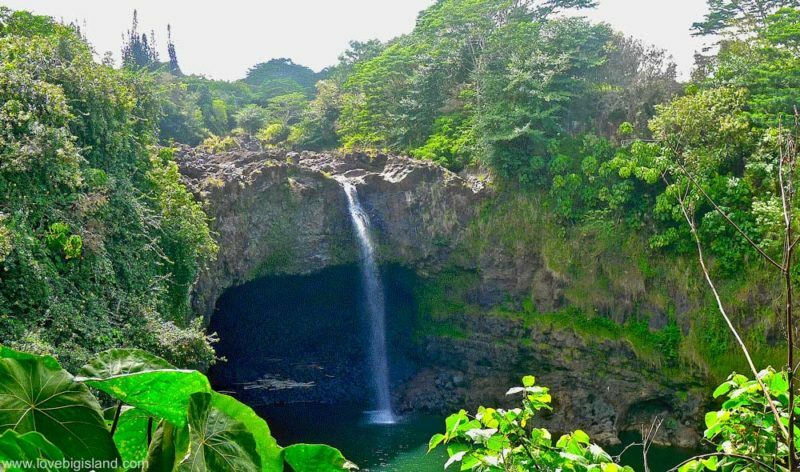 Start by turning on to the four-mile Scenic Route just a few minutes outside of Hilo and enjoy the winding, magical drive along the coast. You can also stop at the World Botanical Gardens for a short hike through lush fern forests. Once back on Highway 19, make sure you stop at the multi-tiered UmaUma Falls and the ‘Akaka Falls State Park to see two of the most famous waterfalls in Hawaii. Continue north to the historic town of Honoka’a. This former cane sugar stronghold has an interesting collection of shops and galleries. It also is a great place to grab some lunch or a fresh, hot malasada at Tex Drive In. From here, it’s just a short drive to the Waipi’o Valley overlook at the end of Highway 240. Which will allow you a stunning view of the “Valley of Kings”, one of the most culturally significant spots for the native Hawaiians and a hot spot for the traditional cultivation of the locally prized “kalo” or taro crop. If you have enough time, heading down into the valley is certainly worth it! Be advised however that you’ll need a car with 4WD and good brakes to make the descent. You also need to check with your rental car agency if they let you take your car down into the valley. You can also take a tour into the valley or walk in on foot, but be prepared for a long and warm hike. Take plenty of drinking water, good hiking shoes and a hat or a cap against the sun. Afterward, continue to Waimea for a luxurious dinner at one of the locally renowned local culinary gems (we recommend Merriman’s or Edelweiss) or continue a half hour to the Kawaihae harbor for sunset and dinner there before returning to Waimea for the night. Waimea is an old ranchers town and offers easy access to great hikes and some beautiful beaches. This is a good place to spend a leisurely last day on the island before slowly making your way down the coast back to Kona to catch your flight home. Take Highway 250 up to the historical colonial town of Hawi. From here it is a short trip to the beautiful valley and black sand beach of Pololu. Once again, take lots of drinking water and sunscreen for the short but steep hike in and out of the valley. Return to Waimea and get yourself ready to go to the airport (shower, pack bags etc.) before driving south along the coastal Highway 270 to Waikoloa Village. Here you can stop here for some local grinds to recharge and visit one of the many stunning white sand beaches on your way back into Kona.